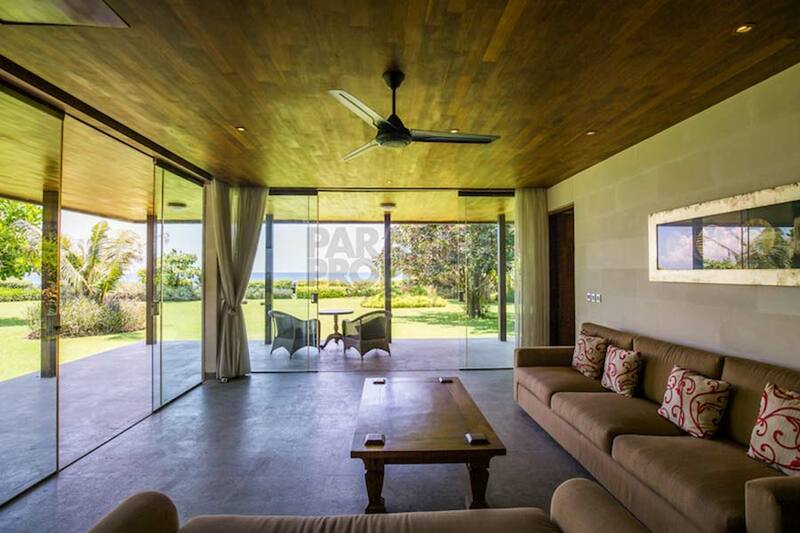 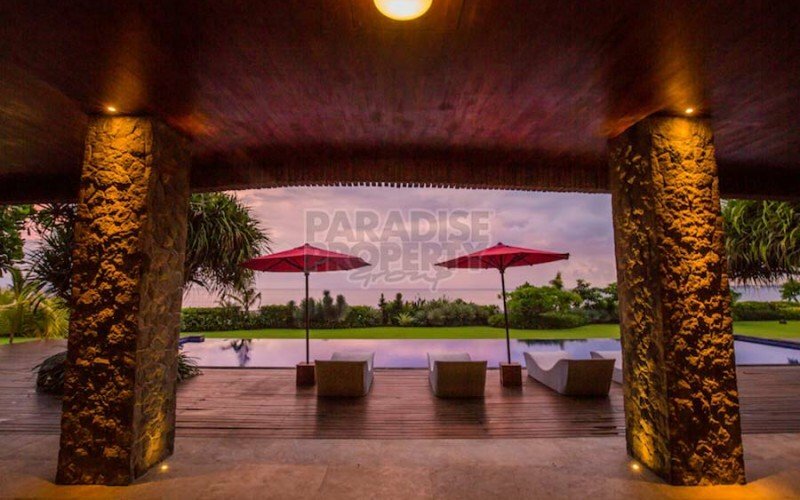 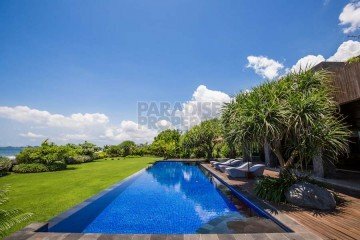 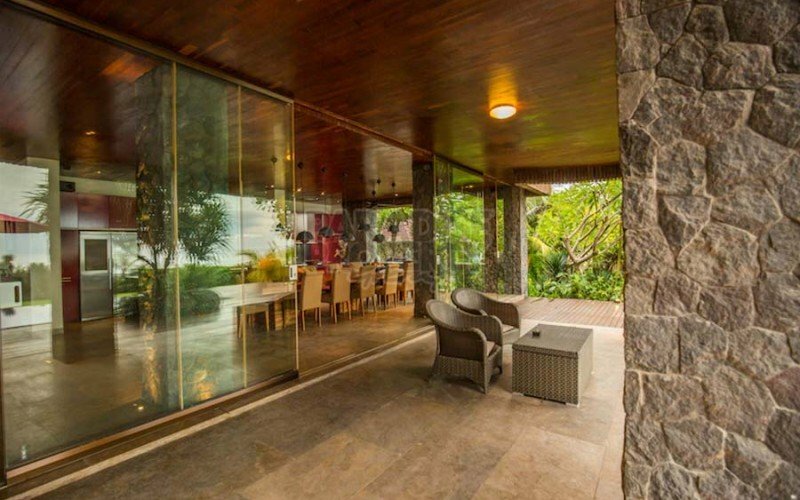 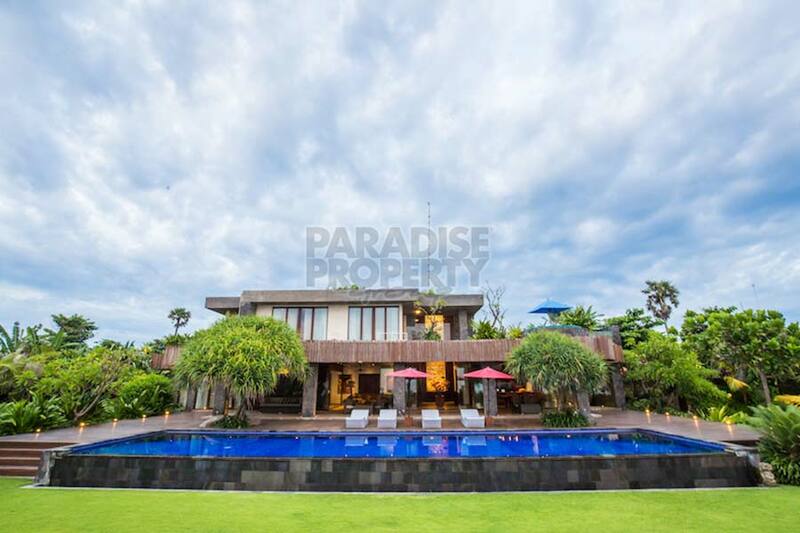 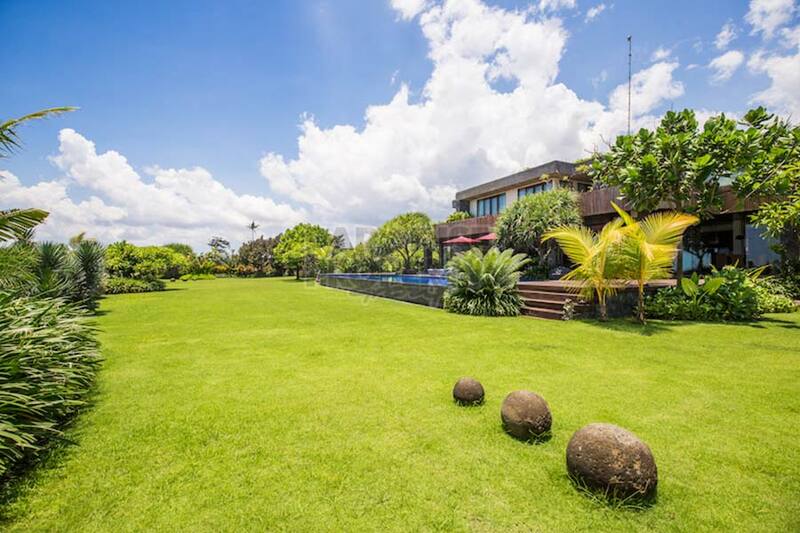 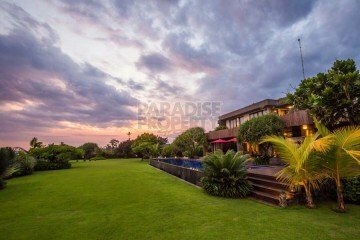 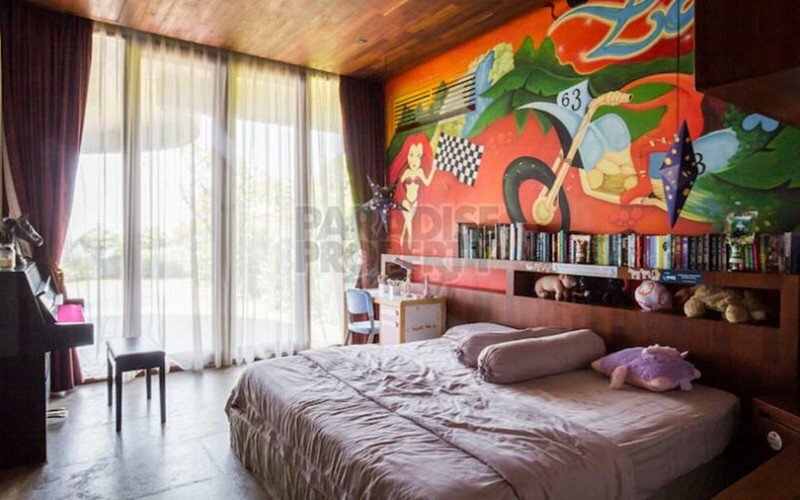 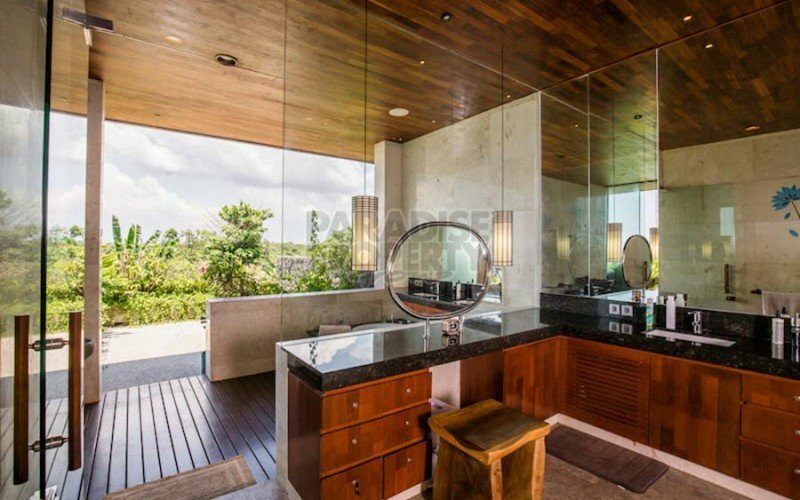 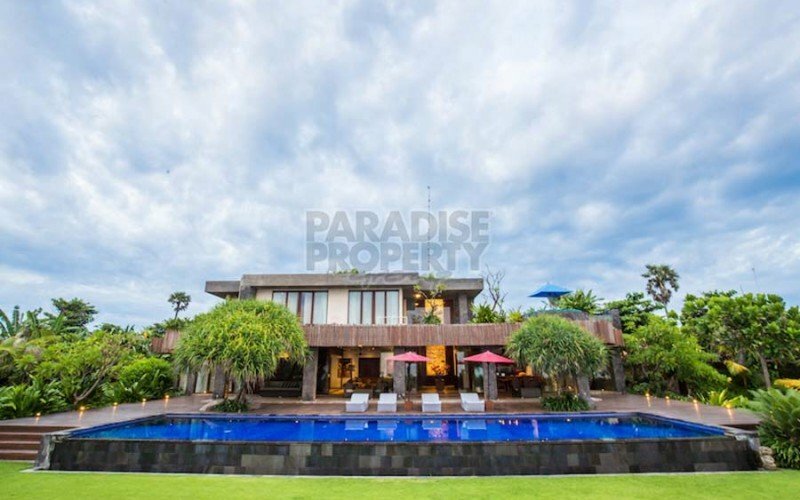 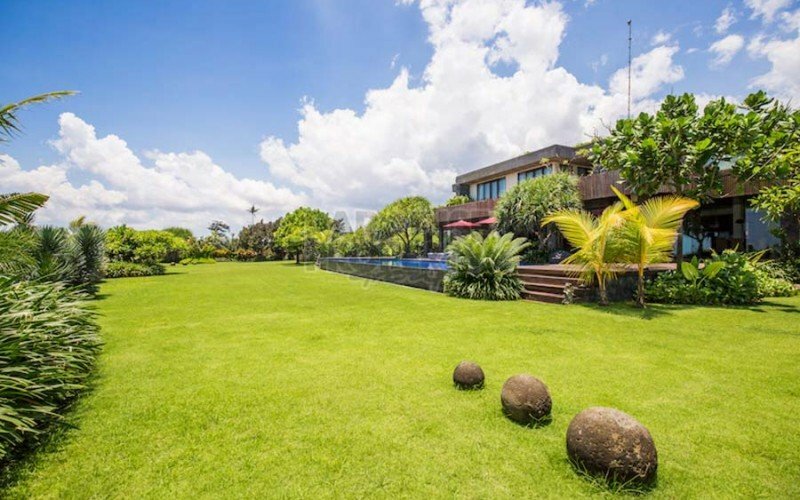 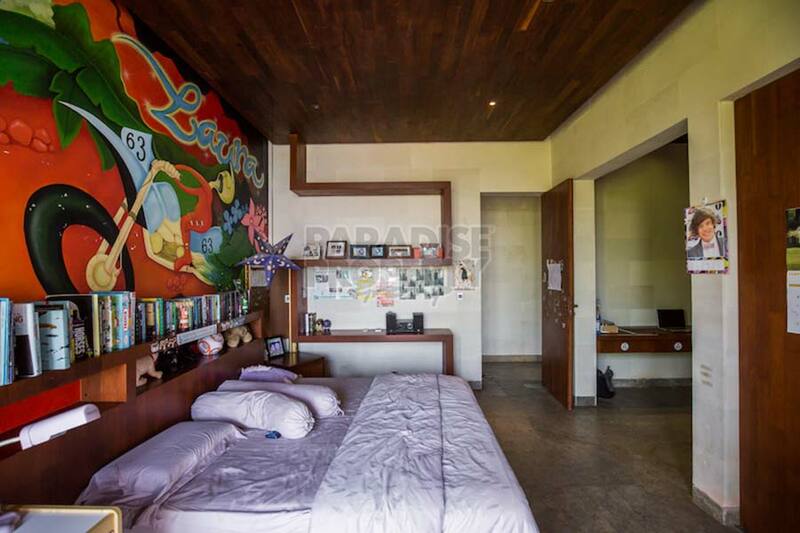 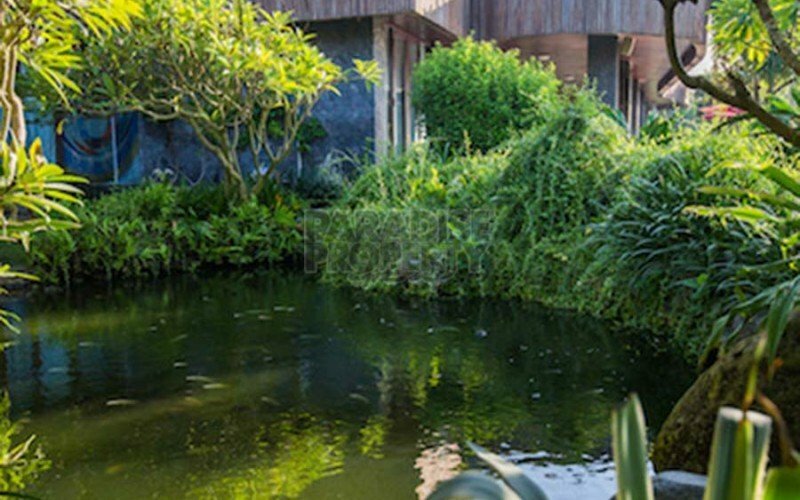 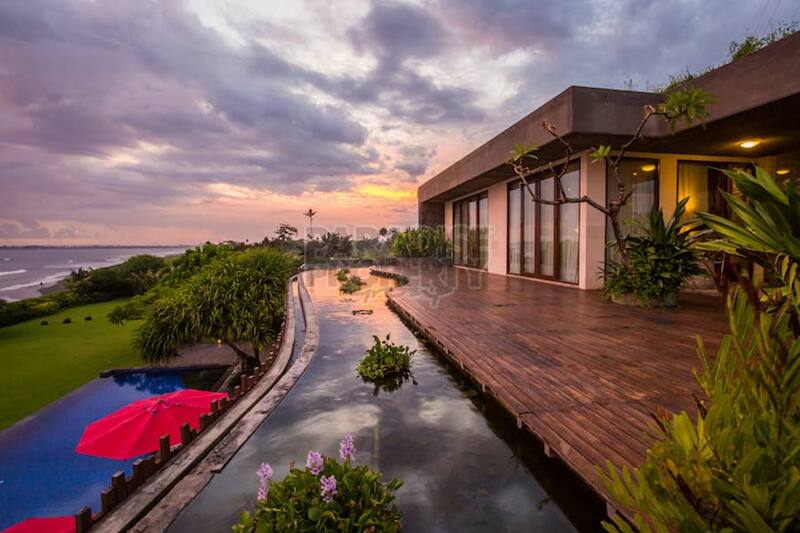 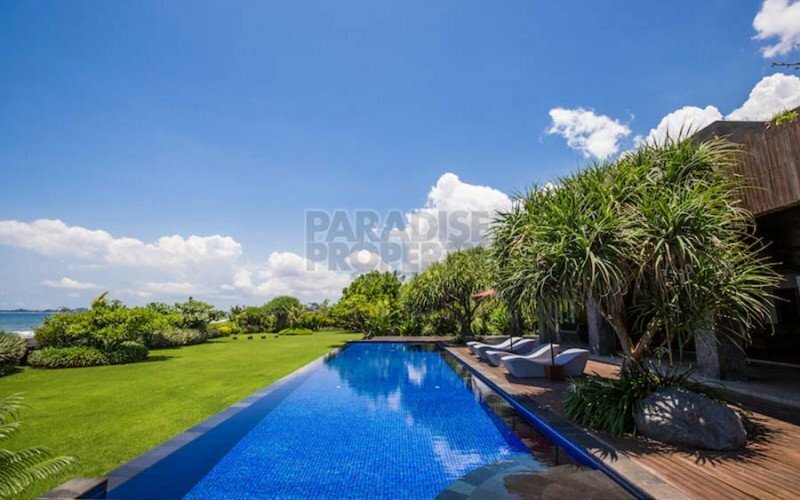 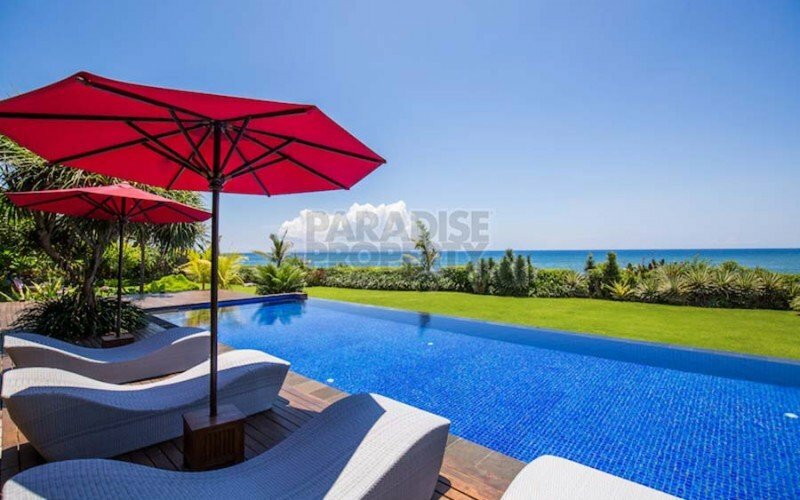 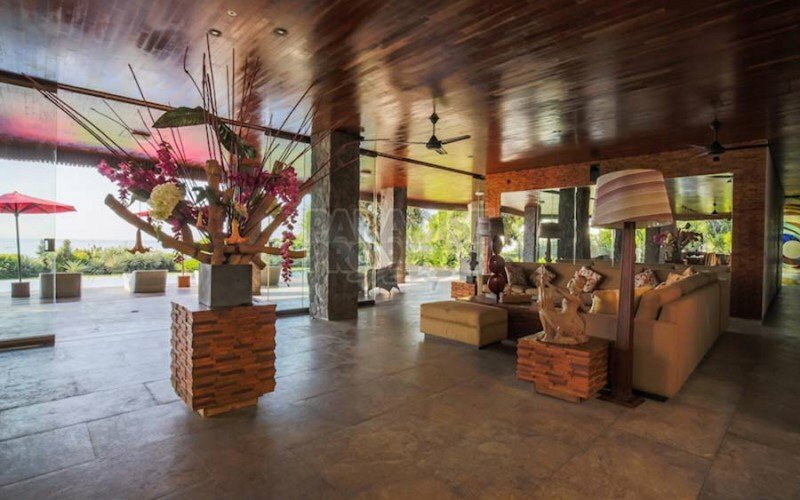 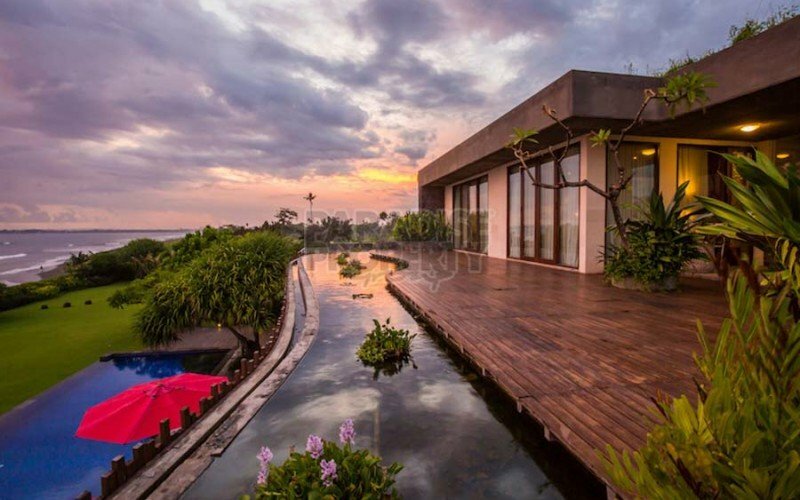 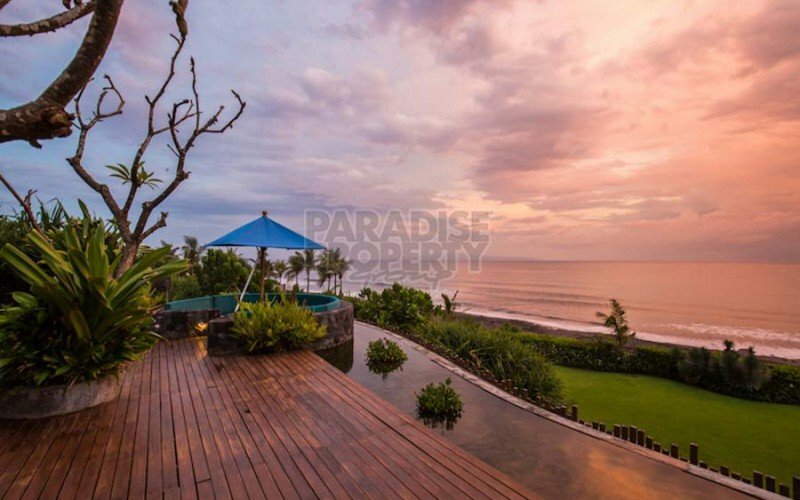 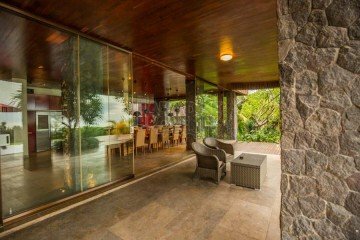 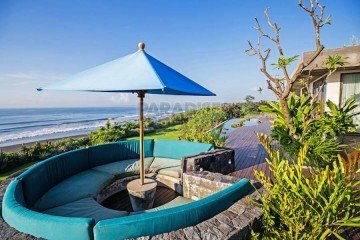 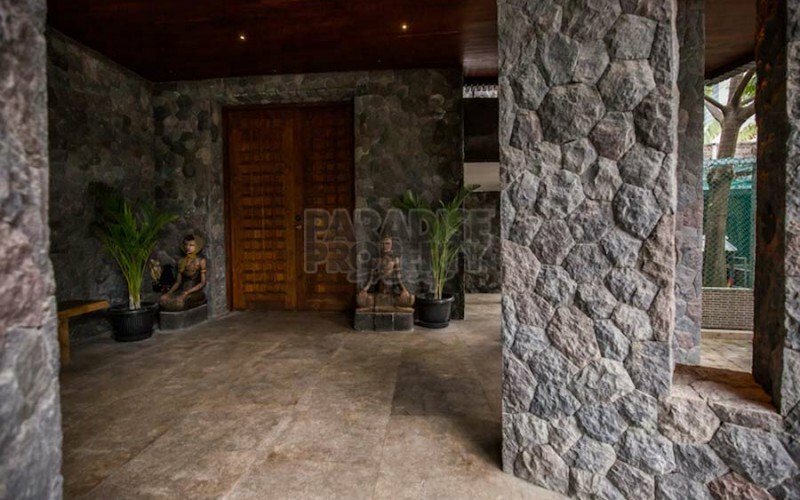 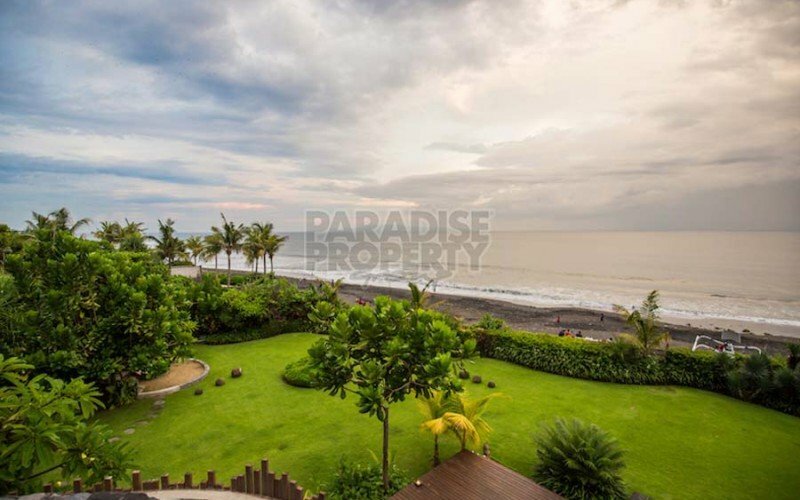 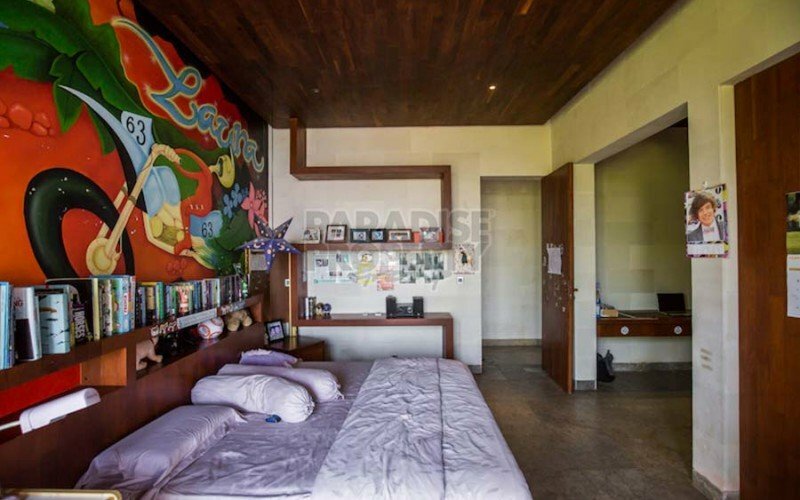 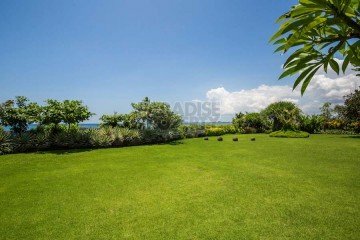 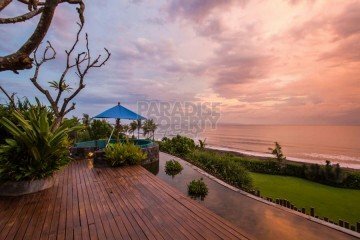 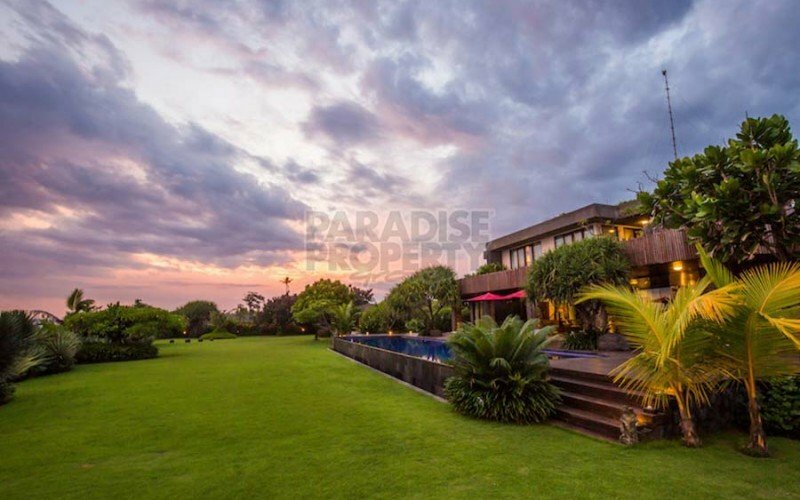 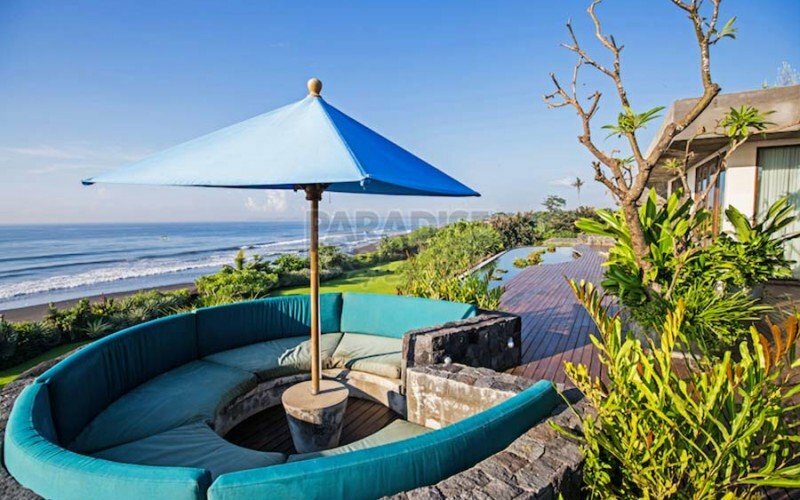 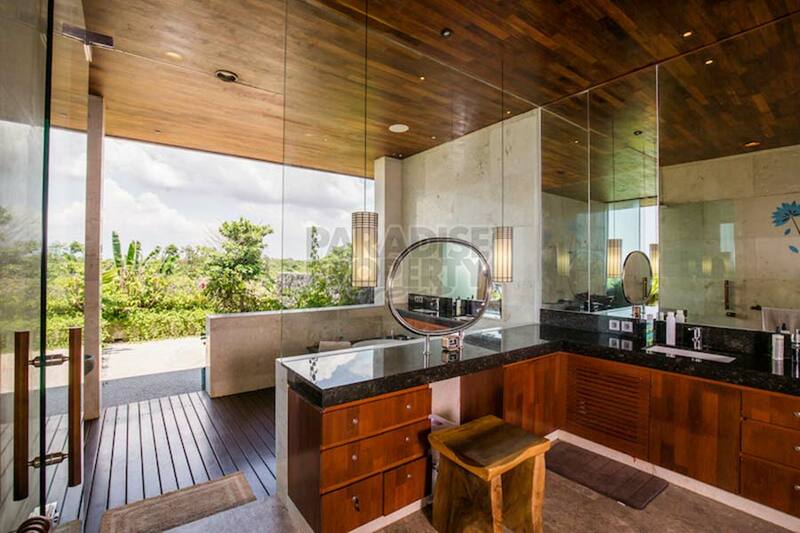 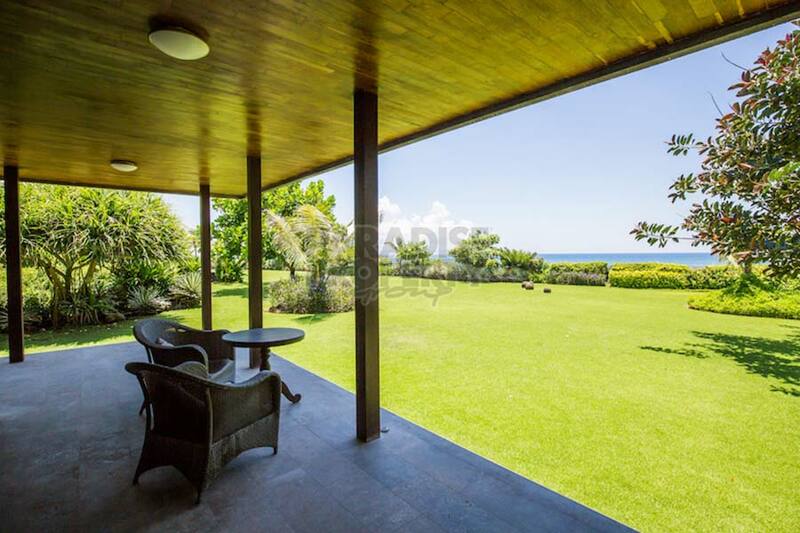 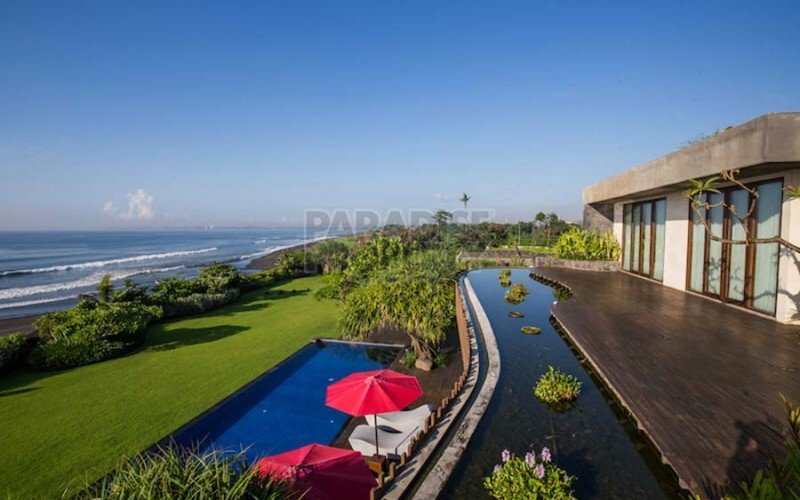 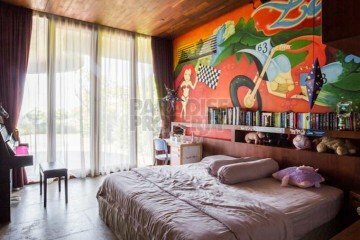 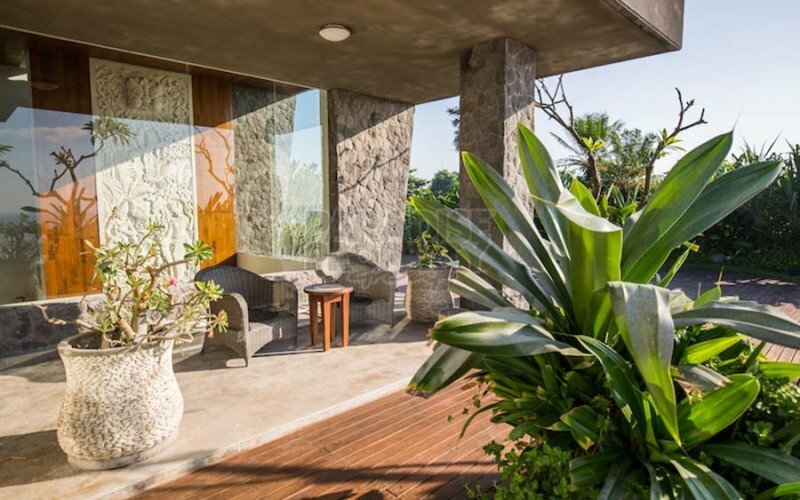 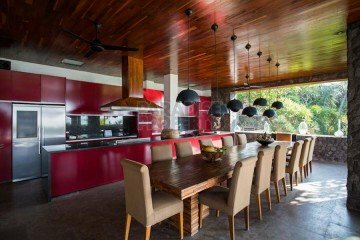 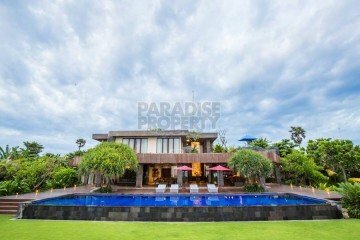 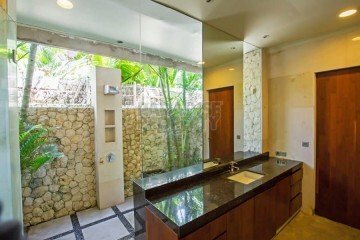 This must see absolute beachfront property is located in a private and secure area of Ketewel on the east coast of Bali, approximately 35 minutes drive from Bali’s international airport and the heart of Sanur can be reached within 10 – 15 minutes. 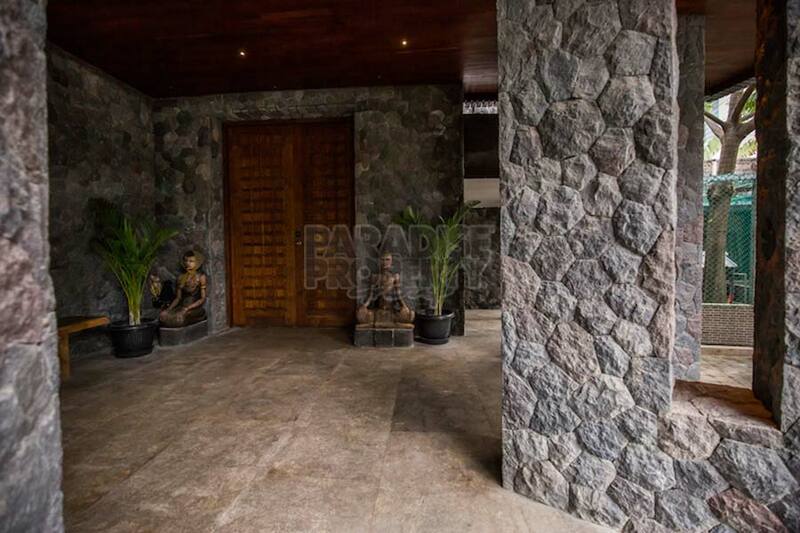 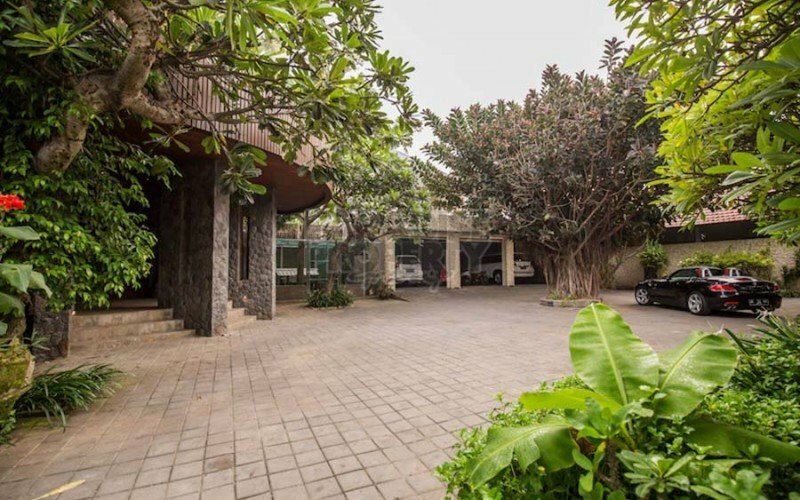 On entering the property through a secure electronic gate, you are welcomed by a huge parking area with lush plantation that has a spacious enclosed garage for 3 cars and large maid’s quarters which sits at the back of the property that has 3 staff bedrooms, a bathroom and a laundry area. 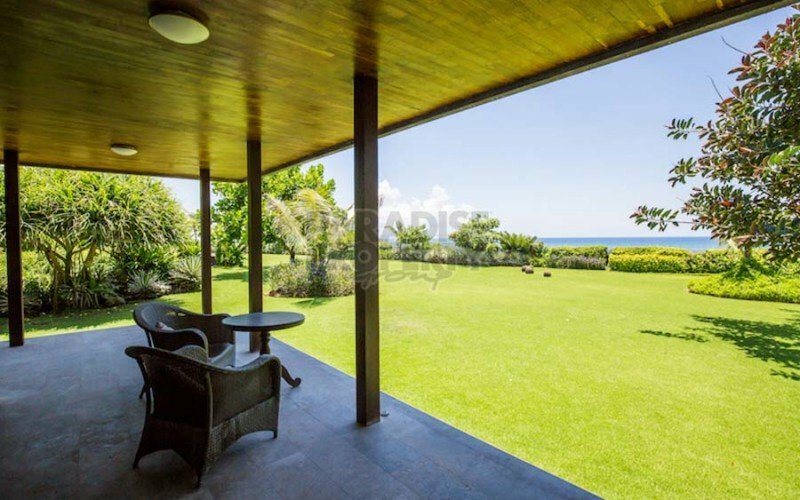 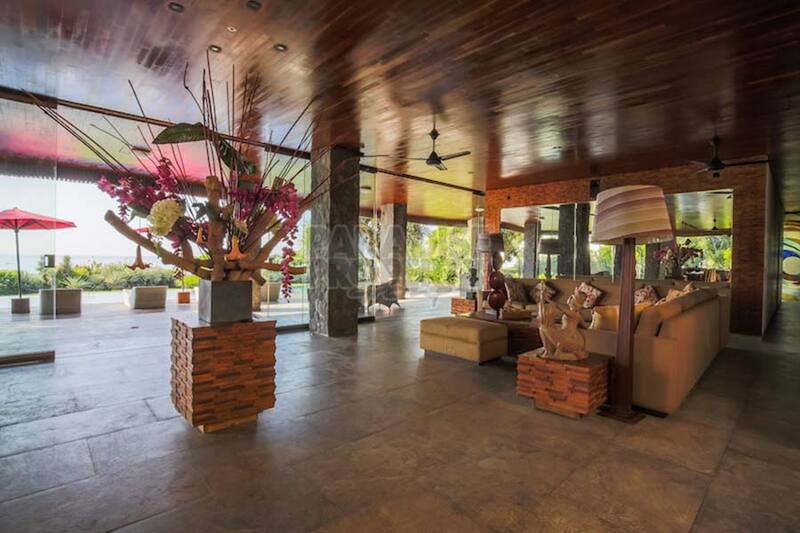 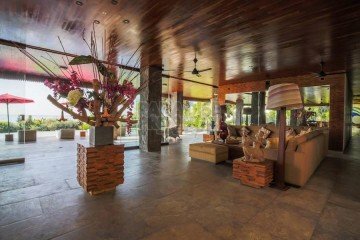 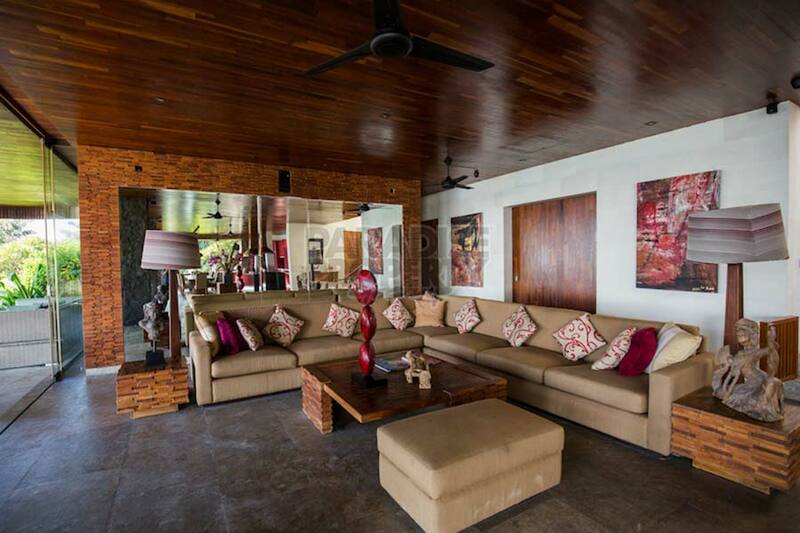 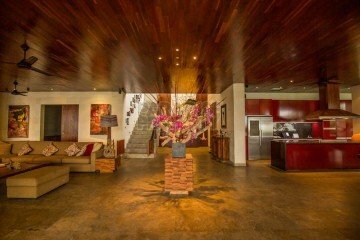 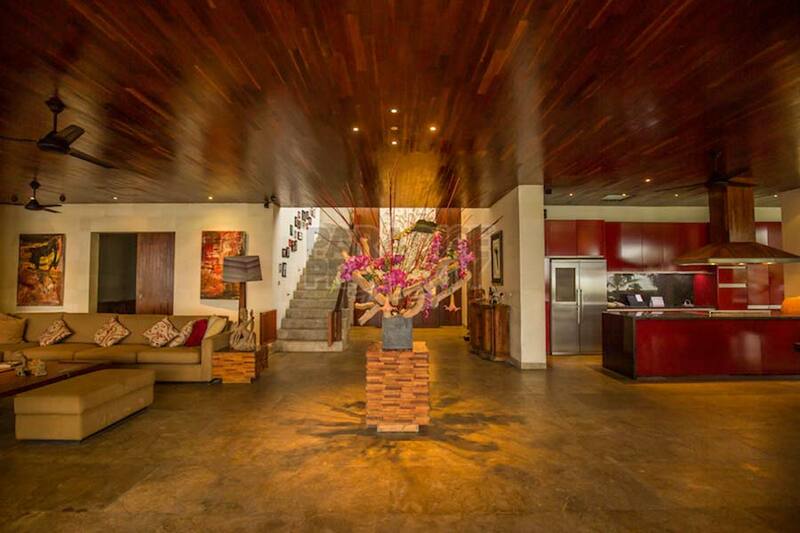 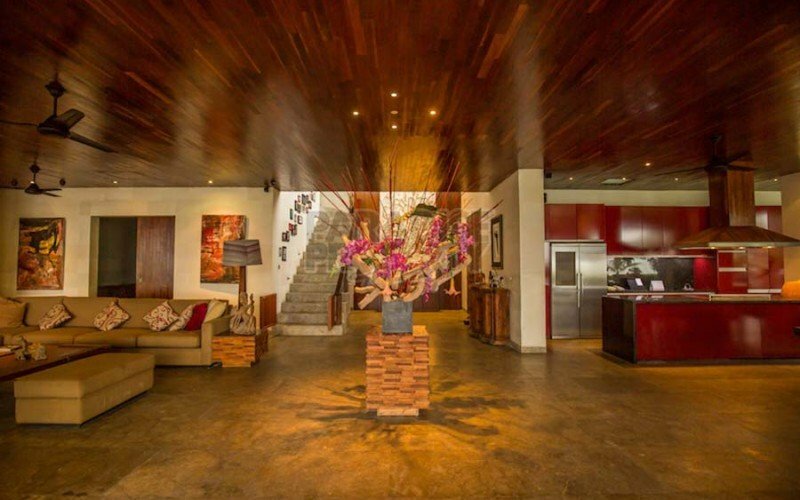 A tastefully designed entrance with large wooden doors leads you into the property and straight away you will receive the WOW FACTOR feeling of the direct ocean / beach front view. 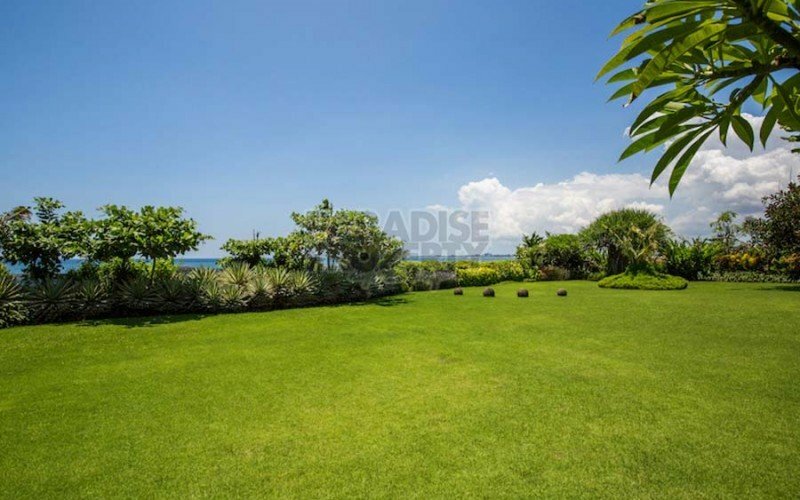 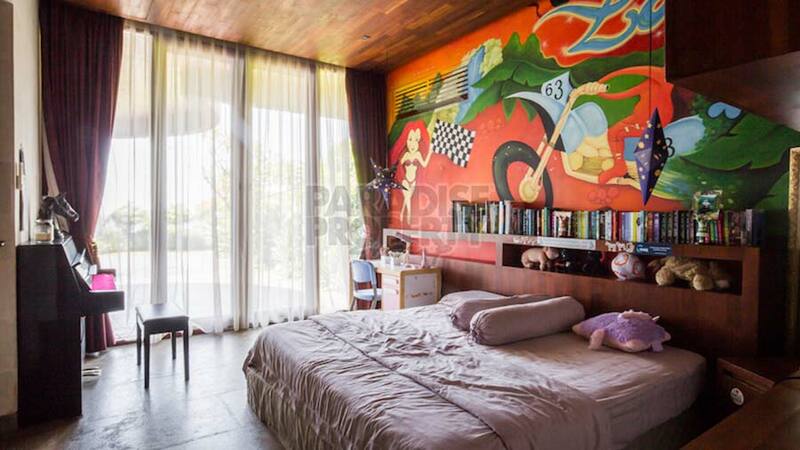 The villa boasts a very impressive beach frontage of 100 meters with beautiful landscaped gardens. 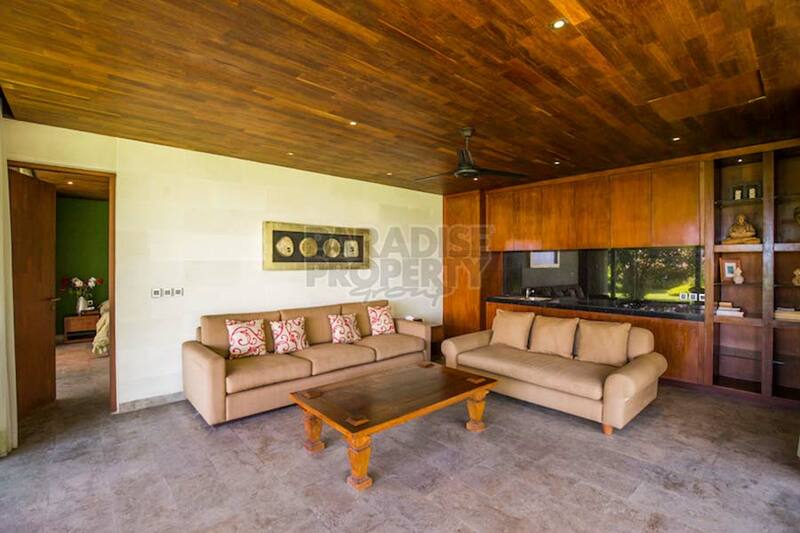 Inside the property on the ground floor you can find a huge living / dining area / fully fitted western standard kitchen / guest toilet / 1 ensuite bedroom and 2 more bedrooms with a connecting bathroom. 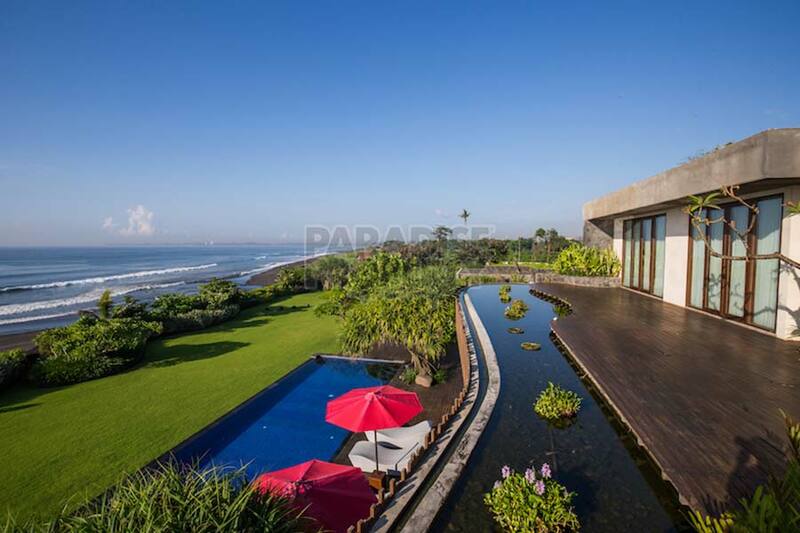 A large terrace overlooks the 20 meter swimming pool and beach front view that is pretty hard to beat. 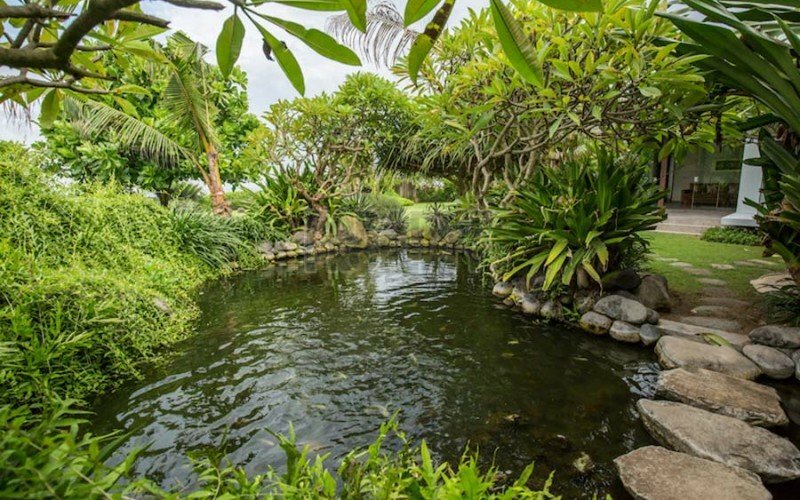 The gardens are very well maintained and at the end of the property you will find a separate guest house that features 2 ensuite bedrooms, private living / dining area and small kitchen. 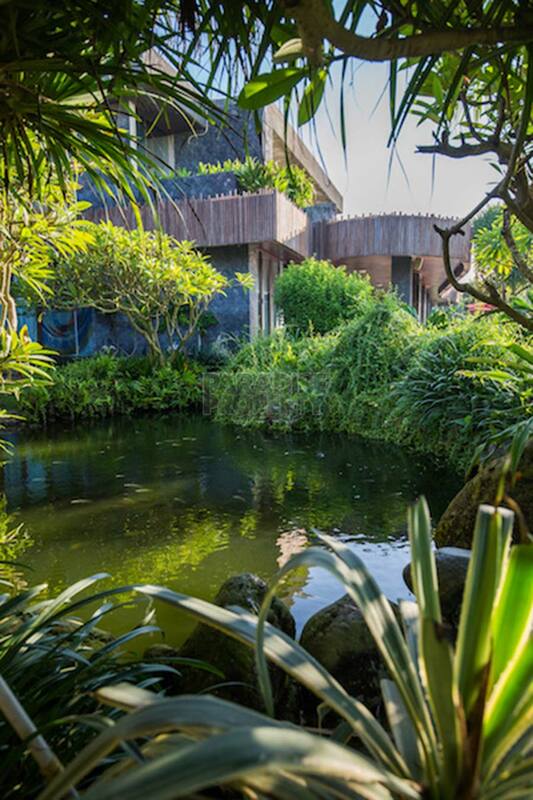 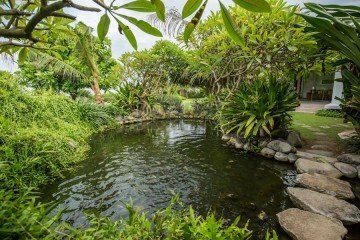 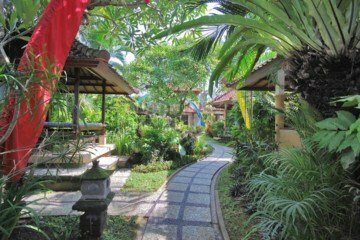 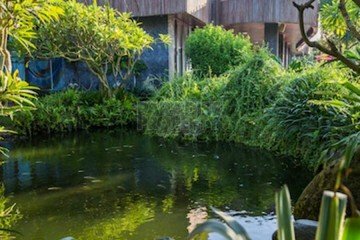 Next to the guest house is a charming fishpond and vegetable garden. 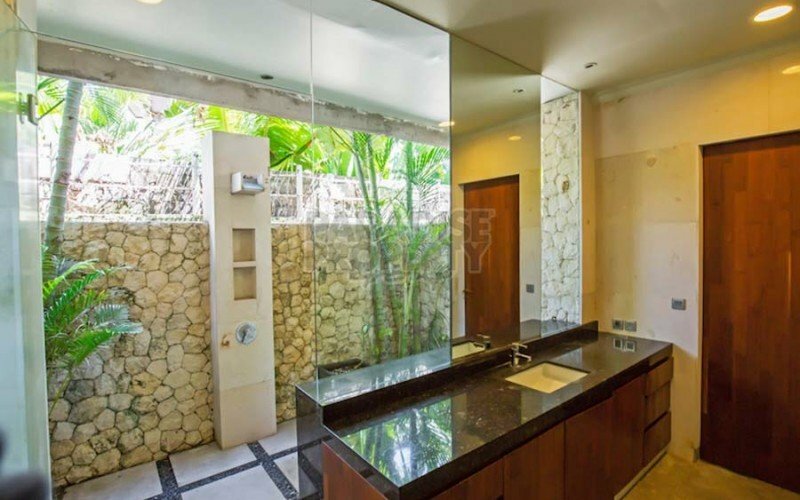 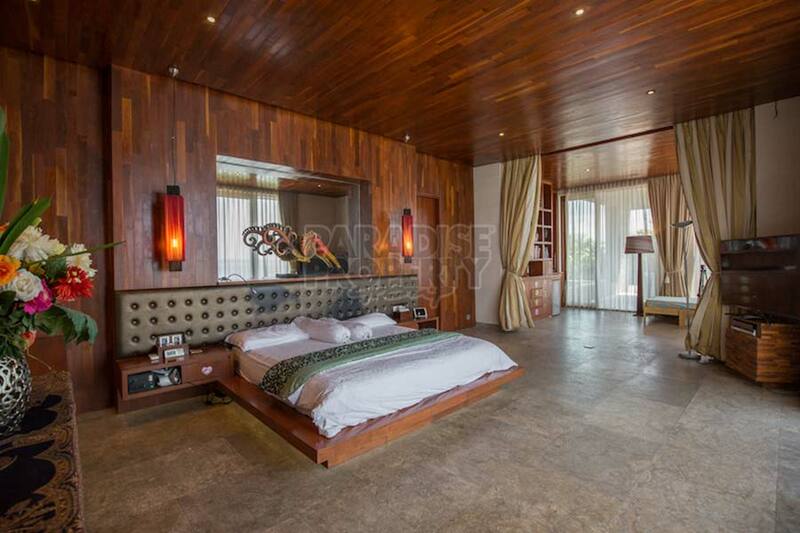 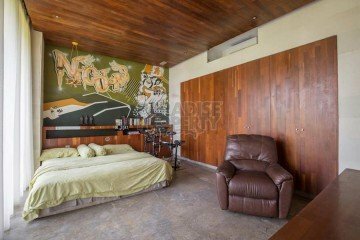 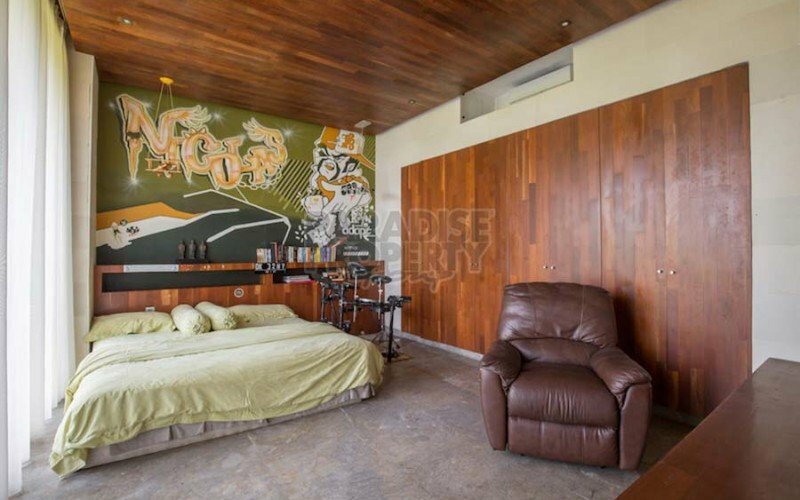 The master ensuite bedroom takes care of the upper level of the property that also features a large outdoor terrace that again provides WOW FACTOR ocean views. 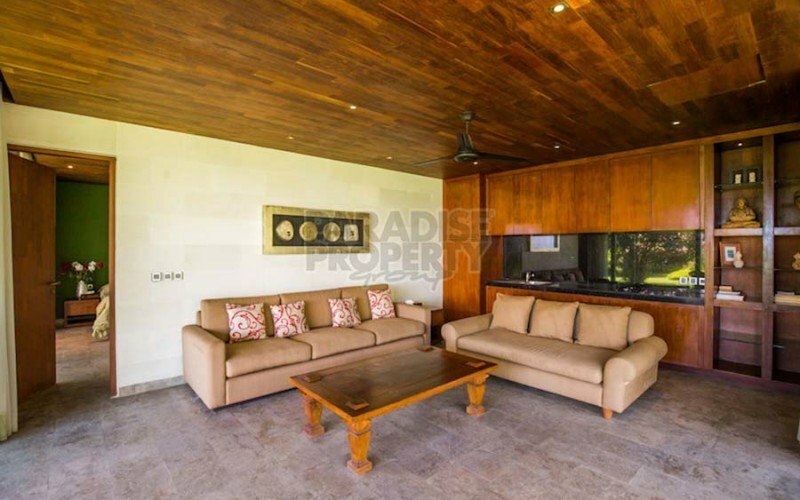 The property is being offered fully furnished and equipped so everything is in place to make this a very satisfying investment. 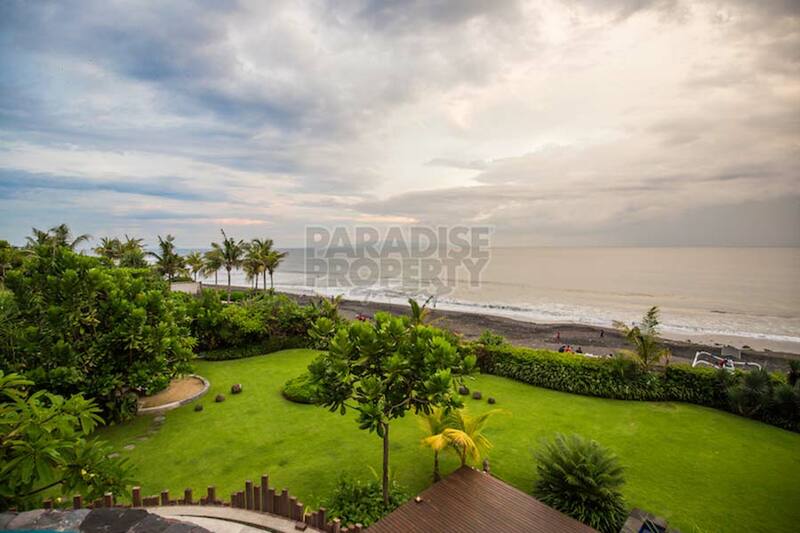 A one of kind absolute beachfront property investment that will be very hard to beat! Electric: 41,700 watts with back-up 30 kva generator. Contact me today to obtain more information and to arrange your inspection for this must see real estate investment opportunity.